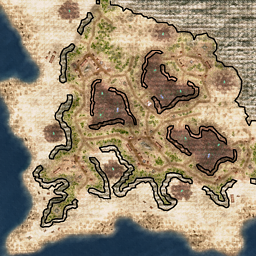 The remake of my award winning map: Crysis meets C&C! This 6-player multiplayer map features a tropical island. Very versatile, medium paced, asymmetrical and completely reloaded. 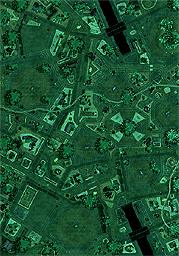 This map pack contains the three Tiberium Wars pre-order bonus maps: Black's Bigger Battle, Death Valley, and Top Gun. 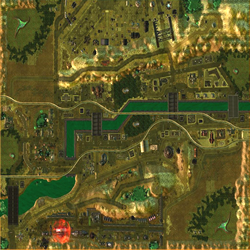 This map is a port of the "Fields of Isis"-map that is bundled with the strategy game "Supreme Commander". The map is quite popular by casual players as it features a simple team play layout. The original version is also quite hated among advanced gamers because it is somewhat simplistic and invites turtling. To prevent that from happening in this C&C version I decided to thin out the resources at the main bases and to force expansion to the center of the map. I also flattened the terrain for easier building as the original map can be quite unnerving at times in terms of finding a suitable spot for your large structures. So SupCom players will have to adapt to a different kind of pace as C&C players will think of new ways to overcome almost impassable defenses.